We’ve got to give it to them, the humorous and eye-catching nature of their latest campaign did cause us to have a silent giggle to ourselves and their ‘refreshingly honest’ message did stick in our minds for all of a minute but most importantly it made us question why some brands are trying so desperately to be cool and attract the ever in – demand millennial generation. The most in demand generation? 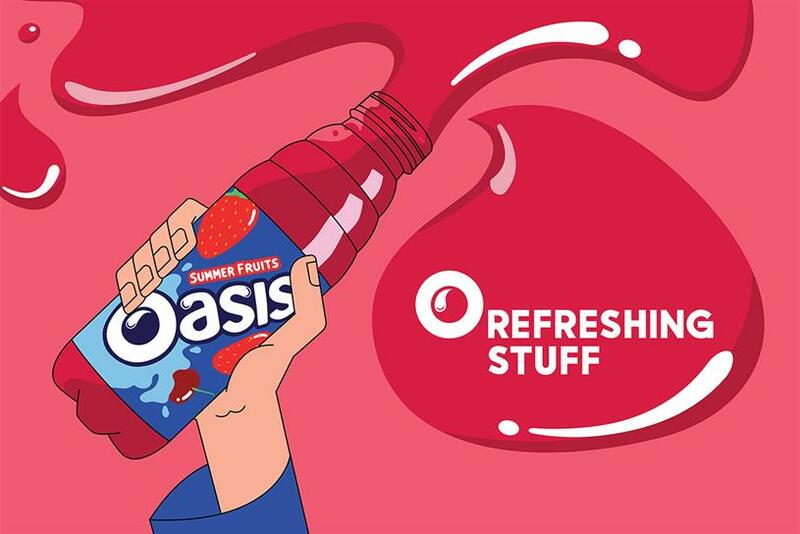 Oasis’s latest campaign follows the trend of brands who are embracing transparency and honesty in their marketing efforts in an attempt to resonate with the younger generation who are apparently demanding more truthful communications. Who exactly it was that decided teens want this, no one knows. What we do know however is that brands everywhere are taking part in the race to attract the millennials. You only have to do a quick search on Google (0.43 seconds to be precise!) to find multiple articles outlining ‘5 ways to attract millennials’ or ‘essential tips for marketing to the millennial generation’, one thing we think is certain however is that trying too hard to be ‘down with the kids’ won’t get you far. After all if the younger generation are supposedly demanding more transparent marketing efforts, isn’t it fair to say they will see right through any brand trying their hardest to appear hip and cool in an attempt to boost their sales? Rumour has it that the next steps for the Oasis refreshingly honest campaign will revolve around poking fun at modern trends including gym selfies and reality TV. We’re sceptical as to whether millennials will appreciate being stereotyped in such a way, perhaps Oasis are setting themselves up for a fall by risking appearing like an embarrassing parent who is ignored by their trendy teen! Whilst the Oasis ads are like nothing we’ve seen recently, the question we need to ask ourselves is whether ads like these will become the norm in the years to come and if so, whether or not brands will end up at square one again feeling even more lost as to how to attract the younger generation.